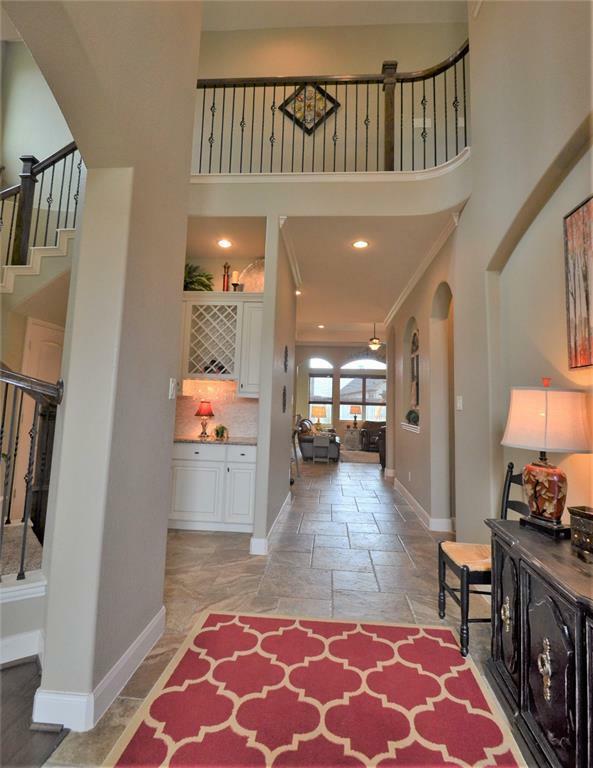 "Start Your Family Traditions" in the Beautiful 4 bedroom home by Village Builders. Located in the Master Plan Neighborhood of West Ranch, it offers Beautiful Lakes with bike paths throughout, community parks with swimming pool, playgrounds & more. Your children will attend the Award winning Friendswood School District. 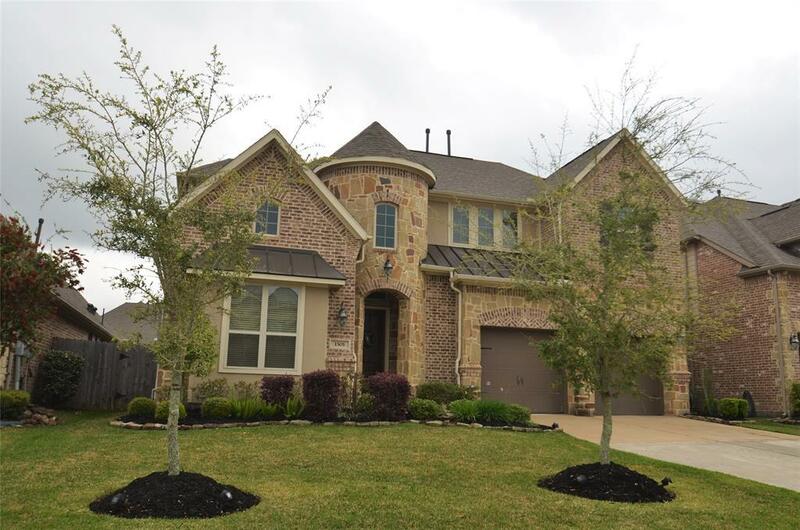 This home offers impressive brick & stone exterior w/attractive architectural design. Inside looks like a model home with designer colors & finishes throughout. 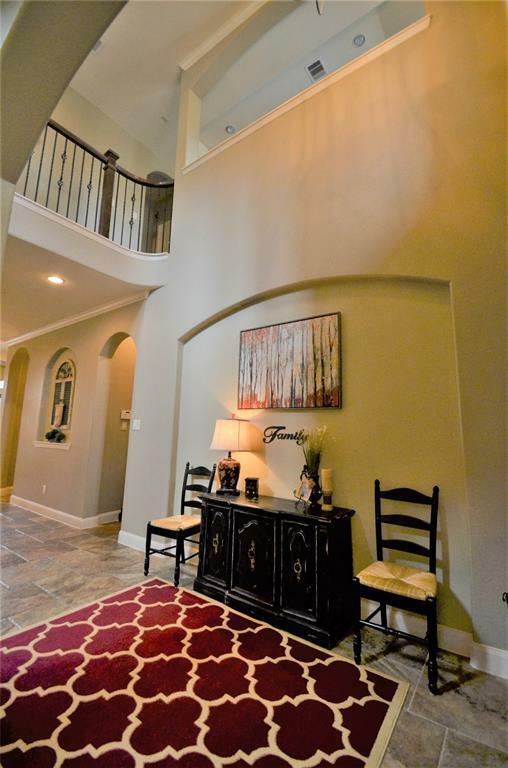 The Grand Entry Foyer has tray ceiling & adjoins the elegant formal dining. 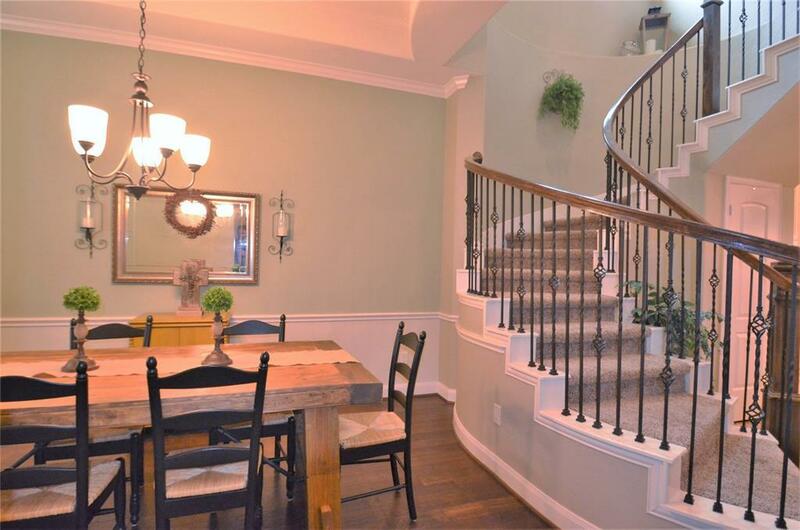 The two story staircase with wrought iron spindles can be seen from the foyer. The spacious granite kitchen overlooks the breakfast area & family room with fireplace. The master suite has vaulted ceiling & beautiful bathroom with jetted tub & separate shower. There is a study with French doors down stairs. Upstairs offers large game room, 3 large bedrooms & 2 full bathrooms. The covered patio overlooks a big backyard. Hurry, it's NICE!